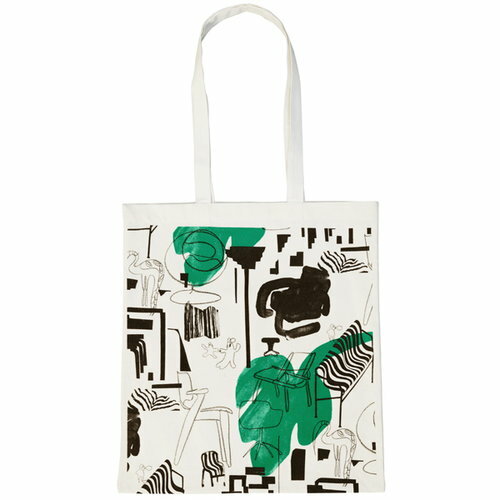 Finnish Design Shop’s Linda tote bag features a joyful, graphic print designed by Helsinki-based illustrator Linda Linko. 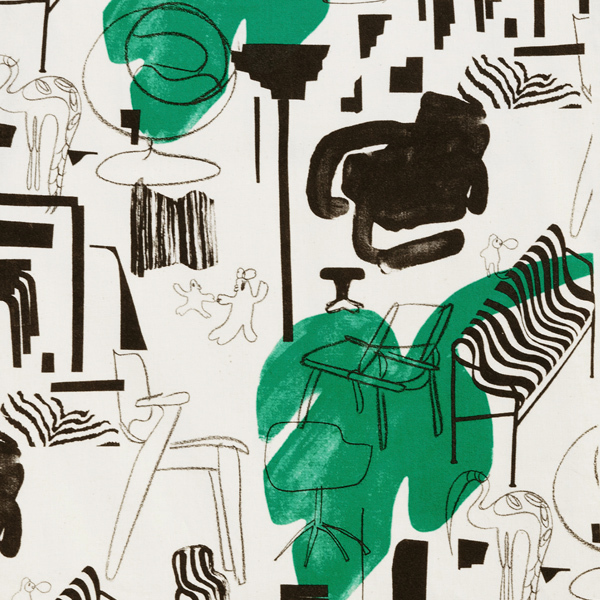 The black and green pattern presents both design classics including the Ball Chair, Domus Chair and Tank chair, and contemporary designs such as Hay’s Palissade sofa and Nikari’s December XL chair. 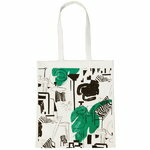 The tote bag is made of lightweight 100% cotton fabric and comes with long handles. Linda Linko (born in 1979) is a Helsinki-based designer and illustrator, who studied at the Helsinki University of Art and Design (Aalto University) and worked for a number of creative agencies, before establishing her own studio in 2010. Linko’s goal is to narrow the gap between design, illustration and art with her joyful and rough style. Her pieces are completely handmade, and she uses computer programs only at the final stage of her work. Linko’s client list includes Club Kaiku (FI), Elle Magazine (UK & JP), Ateneum Art Museum (FI), Adidas, Frame Publications, Marimekko, Universal Music and Vanity Fair. She has won The Best of Finnish Advertising and Design competition in the category of Graphic Identity (2008) and Poster Design (2010), and the Europead Design Awards in the category of Corporate Illustrations (2014).